The best offers for your vacation in hotels in Roses, Costa Brava: Ona Tours travel agency in Roses or Rosas, offers you trips online, hotels and flights over the world. Trip offers. Low cost flights, hotels, cruises. Bookings with Ona Tours travel agency in Roses, Costa Brava. In Roses, we have 28 hotels and apartments close to the beach, with the best offers. Book Online with Ona Tours Viatges travel agency in Roses Costa Brava Spain. The best offer for rent holiday apartments and villas in Roses Costa Brava. All the information about your holidays with Roses.net tourism guide and services. 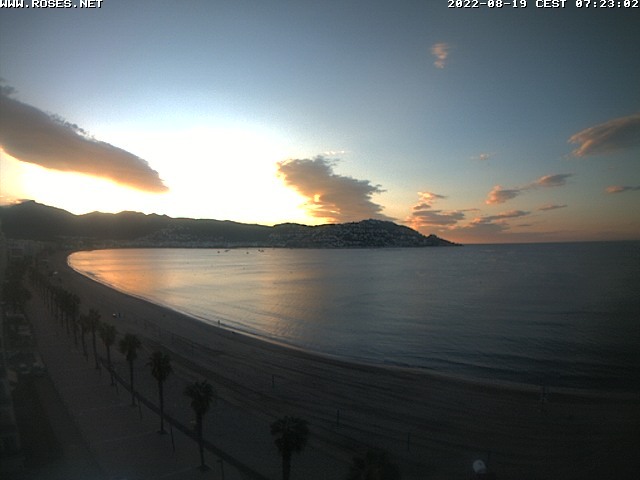 Visit the Webcams, and check out our webcams to see beaches of Roses Spain.